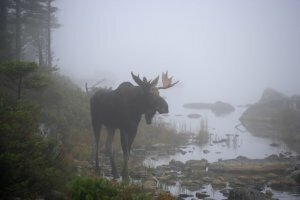 Lucky leaf peepers may encounter a foliage encounter of the moose kind! End of September for extreme north and northwest. First week of October for eastern and central mountains.